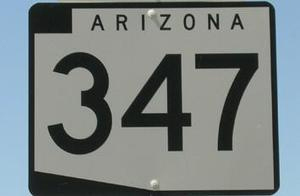 In the latest of a series of special details the Arizona Department of Public Safety has been conducting on State Route 347 this year, State Troopers will be focusing on speeders and aggressive drivers this week. Sgt. Steven Sekrecki said the detail will run Friday from 4 to 8 p.m. to caution rush-hour traffic. He said DPS warns people ahead of conducting these details because the goal is slowing down traffic rather than ticketing drivers. DPS will have four troopers and a sergeant on patrol in the area. Other agencies may also assist.